The IoT malware was first introduced in October 2016. This attack of malware has bought a screeching halt for longer hours to many websites. This attack has also affected many of the big hosting companies. These codes are getting modified and start infecting the computer, windows, and other various connected devices. It is predicted that the hackers will continue to use IoT for DDoS in the future as well. Installing software is difficult as the various devices are inside our home. Routers serve as the entire sites for the internet into the various devices inside the house, so it has the ability to protect the internet entrance, but that’s where the problem comes. Routers without any security software openly invite malware through them. So, in future, all these routers are made so secure that they do not allow any malware. 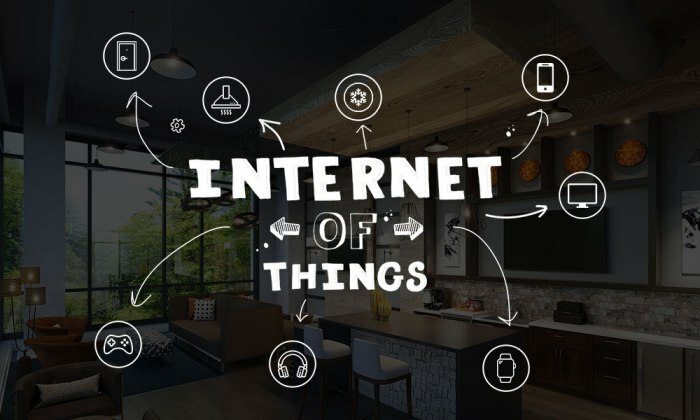 This means the IoT industry require open device management standardization, whose are effects are soon coming into the limelight. This will help in achieving a better level of maturity and then the customer need not have the fear of hardware damage. There is a particular type of sensor called, multi-application gas sensors which will help in detecting the various biochemical threats and will help in identifying various diseases by analyzing the breath. This kind of sensors is ruling the trend these days. This technology helps in reducing pollution, through light indications. This technology is also made useful for various parking systems, by providing an indication for an empty spot via the app. It is predicted that by the year 2020, the number of connected devices will rise rapidly. The usage of IoT is not restricted to only individual customers, but also various companies and cities are also planning to adopt IoT. The usage of IoT will help in making the lives easier in various cities in managing and collected remote data, apart from being time and cost-effective. It also helps in making various processes automated. The applications of IoT is not limited to home, but also it is extended towards business and other environments. The number of devices which are connected is increasing in number which is making real-time communication and data transfer easy. The various other advantages of using Smart products from the customer’s point of view are a better safety, better quality of the product, improved energy efficiency, increased security. Various Business firms are using IoT for their growth. This means that there is a subsequent demand for mobile app development companies, which are developing mobile apps for such devices and includes monitoring systems for both SMBs and enterprises, navigation, computing, and so much more. The investments of various business firms on IoT is on raise and it is expected to be $t6 trillions in the next coming five years. Comparing various business firms with other sectors in adopting IoT, the business sector is adopting IoT at a faster rate. This is mainly because IoT helps in cost-effectiveness and raise productivity. Even the government is having a look at this IoT, for making the lives of the people better. And it is believed that they are the second largest adopter of these solutions, even various individual customers are also started investing in IoT ecosystems. Owing to all the various things mentioned above, IoT is no doubt attribute in changing the lives of the people. The lives are made easy with various machine based control systems, sensors which will help in carrying out the complex task and getting real-time data for analysis. It is noteworthy to mention that the sensors used for data analytics will be beneficial in decision making also. Varalakshmi is a Technical content writer in FuGenX Technologies Pvt Ltd - Mobile apps and game development company.